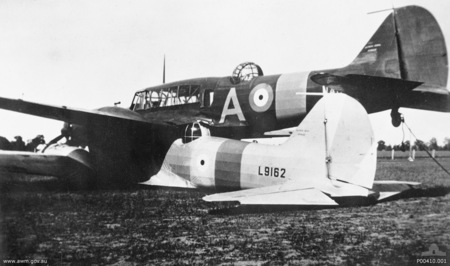 In what surely is one of the most bizarre flying incidents ever to have occurred, two British Avro Anson bomber airplanes doing cross-country practice flights in preparation for World War II made sudden impact 3,000 feet above ground in Brocklesby, New South Wales, Australia. The risk of mid-air collisions is very low, yet the most freakish thing about it was not that they collided, but the fact that the planes jammed precisely one over the other, and as such, interlocked as in a scene from a cartoon, remarkably landing without serious injuries in a paddock near a small farm, terrifying the horses who until that unexpected visit were feasting on the fresh grass, waving their tails, chasing horseflies, and having a blast on a sunny September morning. And the funniest thing was that the pilot who went through a forced landing, and the plane piggybacking underneath it, was calm as a cucumber, acting as if nothing extraordinary had happened. Sure she was. One plane had the engines intact. The other one only its wings and controls. 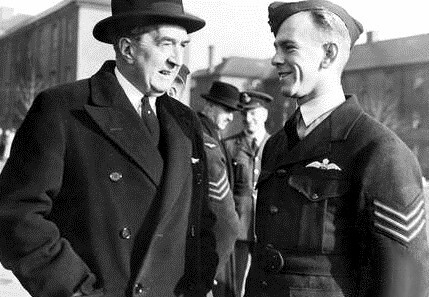 Leading Aircraftman (LAC) Leonard G. Fuller, the pilot of the latter, the one on top, who jokingly gave this nonchalant statement to his supervisor Group Captain Arthur “Spud” Murphy right after the incident had, in fact, a grave task at hand to fly them both and take them down. According to every paper that covered the incident and wrote a story about it–and let’s just say there were many who did report this freakish event for it attracted worldwide media attention and for a few months was all over the news despite the fact that a war was raging on–the pilot, LAC Leonard Graham Fuller, aged 22, from Cootamundra, and LAC Ian Menzies Sinclair, 27, from Glen Innes, acting as his navigator, took off in their Avro Anson number N4876 from the flying training school ground of the Royal Australian Air Force near Wagga Wagga in New South Wales. 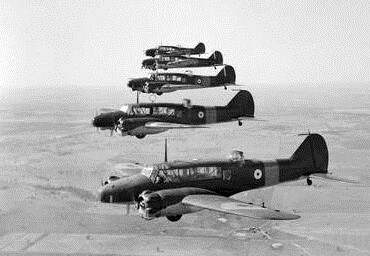 The same morning on September 29, 1940, and just right after them, 19-year-old LAC Jack Inglis Hewson from Newcastle, Australia, assisted by his 27-year-old navigator LAC Hugh Gavin Fraser from Melbourne, left the ground in their L9162 aircraft. The planes were now jammed tightly, his engines blew off almost instantly, but the ones of the plane underneath were working at full strength. 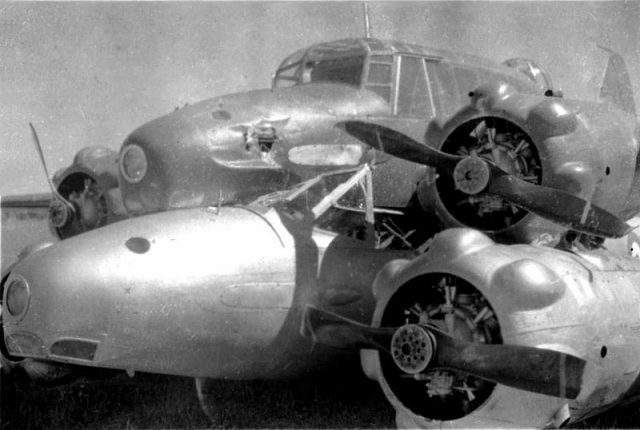 Although Sinclair bailed immediately after the impact, as did Fraser, the navigator from down under, Fuller saw his controls were working and realized he could control the pair of planes at the very moment he saw Hewson jumping from the plane and getting hit by the propellers as he did so. The aircraft was losing altitude and was about to start to spin. It was up to him to either jump now or try and take the planes down and save innocent lives that potentially could get lost by unmanned planes crashing down on them. Good thing he was a skilled pilot, and cool, calm, and collected while everything was going on for he managed to fly 5 miles in search of the best possible place to land the now Siamese-twin-plane, before making an improvised emergency pancake landing in Mr. T. Murphy’s farm 6 miles southwest of Brocklesby. Luckily, no one was seriously hurt in the process. Not even Hewson, whose back was injured when the propeller struck him, and had troubles with his parachute that wouldn’t open until 100 feet off the ground. He slammed so hard on the ground that it left him paralyzed for four months. In fact, everyone was just fine and Fuller’s plane was in such a good state that was put back into service almost right away. 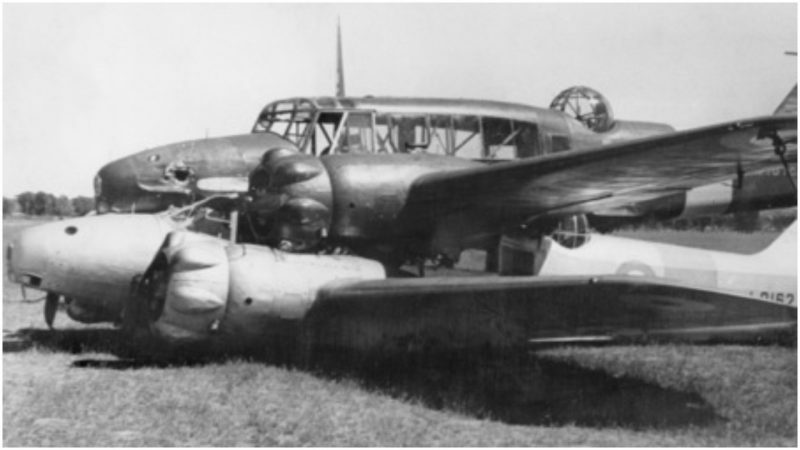 However, it was not all because of one man’s courage and his unparalleled creative set of piloting skills but a conjoined effort of both that prevented this dual-plane aircraft from spiraling out of control. Before bailing out, Hewson locked the controls of his plane and raised the engines to full strength right after the impact and said goodbye, for if there was any chance for the planes to belly land, it was to be his belly that would be the first to taste the ground. Without his reasoning and quick reaction, both of the planes were doomed. But in the end, everything went fine, and this “small” accident in the sky made the small town of Brocklesby famous. Though it is safe to say the horses enjoying the sun that September morning in the nearby paddock where the plane landed and slid for 200 yards were running for their lives petrified, and Mr. T. Murphy was having trouble calming them down and getting them back inside his farm. The greatest irony was that Fuller, the pilot who showed courage, landing a strange aircraft in an even stranger scenario, died four years later in 1944, when a bus struck and killed him on the spot. He was riding his bike. 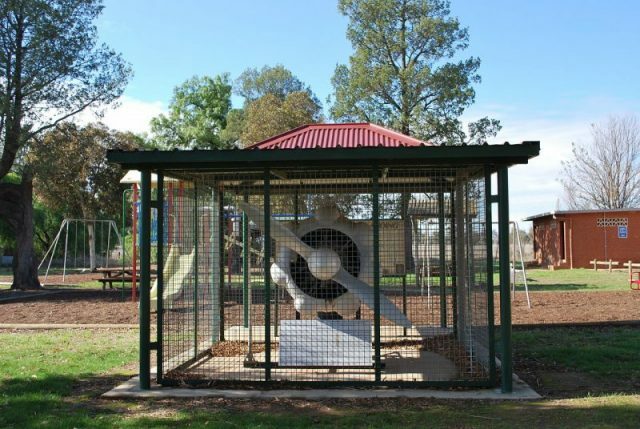 This entry was posted in Australia, History, Science, World and tagged wAGGA wAGGA, WW2 by rolyred. Bookmark the permalink.